This story is sponsored by Bluboo. PhoneArena's opinions in this article have not been affected in any way! This year's MWC was stuffed to the brim with interesting tech and it's obvious that phones with 18:9 screens and minimal bezels are taking over. 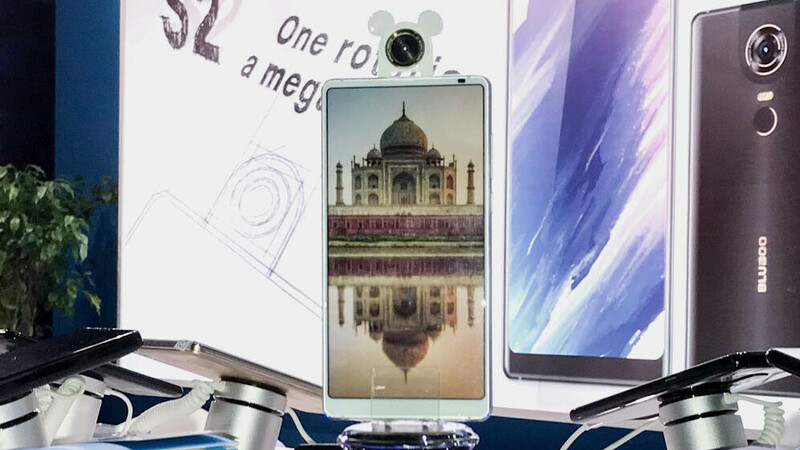 Now, while a lot of them will have a notch cutout at the top of the screen to accommodate a selfie camera, some have chosen a more exotic, innovative take on how to deal with the lack of a top bezel. Such is the case with the Bluboo S2 — the phone only has one camera, which can turn around via a mechanical swivel, alternating between being a selfie snapper and a back-mounted shooter. Let's see what this marvel is all about! So, as mentioned, the Bluboo S2 rocks an all-screen front, with the exception of a “chin” at the bottom. It's held together by an aluminum frame and sports a back that has been finished to feel like it's ceramic. The 18:9 Sharp-made display has a 6-inch diagonal and sports a resolution of 1080 x 2160 pixels making for a pixel density of 402 pixels per inch. Now, about that camera. 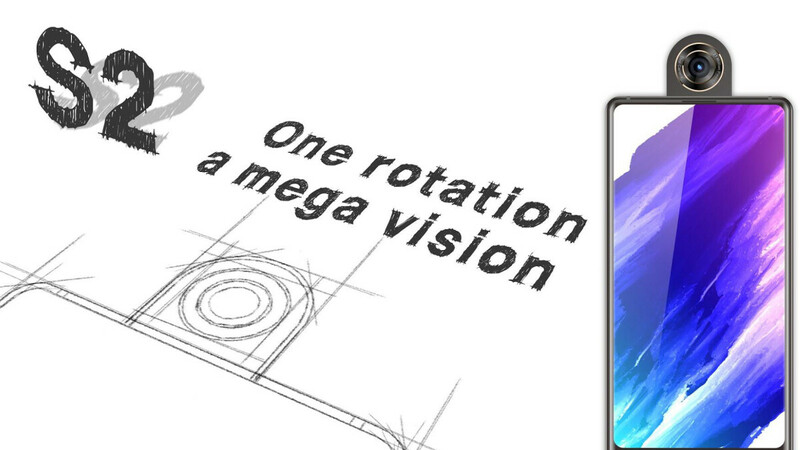 It has a 21 MP sensor made by Sony. In its normal state, the snapper lays on the back of the phone, just where your regular main camera usually resides. However, it's held by a swivel mechanism — if you want to take a selfie, just pop it out and turn it around towards yourself. Of course, having such a mechanical part raises concerns over durability, but Bluboo claims that the reinforced material that the swivel is made out of can withstand up to 100,000 times of use. Now, the question is — how long would it take you to make 100,000 selfies? Other tidbits that were revealed about the phone include the battery capacity, and it's no joke. The Bluboo S2 has a 4,200 mAh cell in its trunk, sure to keep the lights on for a while. It will also ship with Android 8.1 Oreo out of the box. Unfortunately, there are no additional details about hardware at this point. Price and availability for the Bluboo S2 are still unknown, but the manufacturer should be releasing more details soon. Be sure to visit Bluboo's website at the link below if you are interested in following. Much better than an ugly notch. Somehow Oppo wanted to be more like Apple.